Here’s a gorgeous view from the International Space Station, taken by the Expedition 30 crew on Feb. 4, 2012 as the station passed into orbital dawn. 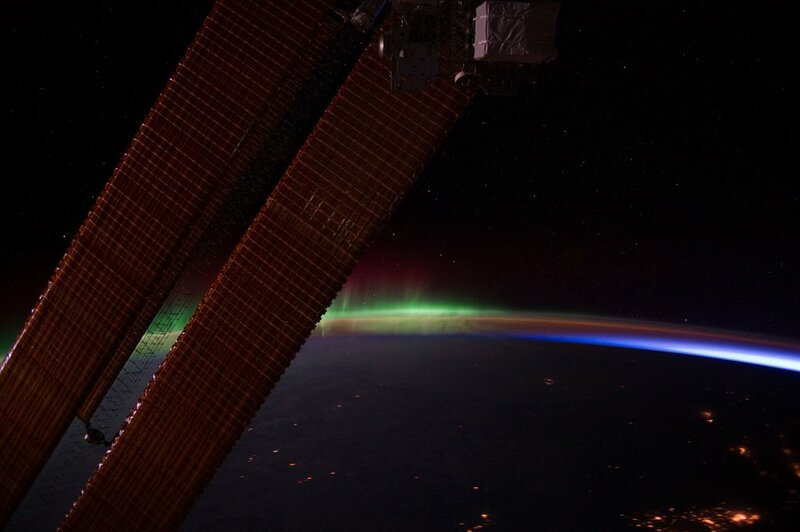 The greens and reds of the aurora borealis shimmer above Earth’s limb beyond the Station’s solar panels as city lights shine beneath a layer of clouds. Next Post Daytime Moon, Hello Venus!